Cyber attacks are becoming increasingly ubiquitous and difficult to deal with. Hackers relentlessly try to exploit common weak passwords. As a result, organizations have to safeguard themselves in this never-ending game of cat and mouse. But what if you could avoid weak passwords altogether? Since any dent in cyber security can have adverse implications, it's crucial to enforce a strong password policy. However, the native Active Directory environment doesn't provide many options on this front. ADSelfService Plus' password policy enforcer effectively combats this issue by allowing you to enforce a custom password policy. It renders Windows Active Directory passwords hack-proof to ensure that your organization is secure. Implement stricter or more lenient requirements depending on your environment. Furthermore, you can set the number of complexity requirements the user must adhere to while setting passwords. 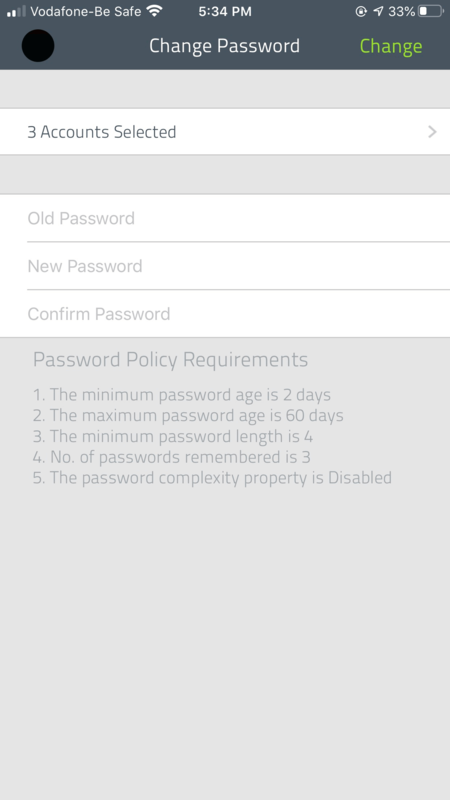 Display policy requirements on the reset and change password pages to ensure users know the rules. Passwords that don't meet policy requirements will be rejected. Enforce your policy for password resets from the GINA or CP (Ctrl+Alt+Del) screen and during ADUC (Active Directory Users and Computers) password resets. 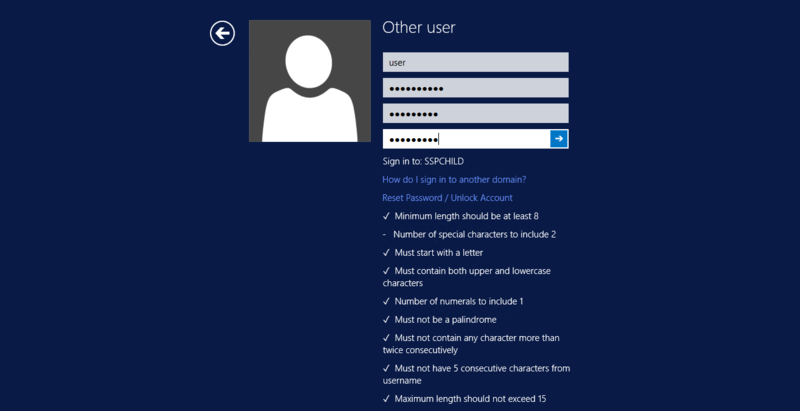 Set separate password policies for OUs and groups, apart from the one set for the domain. This flexibility allows you to set a stringent password policy for privileged users with access to sensitive information, and a less stringent one for users who don't have such access. If you're worried a stringent password policy will cause a surge in password reset tickets to your IT help desk, fret not. ADSelfService Plus also provides password self-service features, which means that users can reset their own passwords without any help desk intervention. ADSelfService Plus ensures that a stringent password policy will not be detrimental to the efficiency of your employees or your IT help desk.